I wanted to document this real quick as I keep having to do this in my home lab on a semi-regular basis. Since I only have a single physical server, and I use the vCenter appliance, I have no vSphere Update Manager installed for this one physical box. I do use it for all my nested vSphere ESXi machines in the rest of the lab, but I do need to update the physical one on occasion. Many of you may have run into this in the past that it is a bit of a pain since the new tools including the Remote Command Line do not support a direct “Upload” of a patch file to ESXi. With that here is the most basic and simple way I found to handle the process. Since vSphere ESXi 5.0 uses the new VIB model the commands and process have changed slightly but the basic concepts are the same. Transfer the update file over to the host using FileZilla or SCP to a MOUNTED DATASTORE of some kind. NOTE: There is not enough space to transfer this to a location on the local ESXi Image. It took me a bit to realize this was failing to copy. Once you have uploaded the file to a datastore, this is considered a “Local Depot Repository” as opposed to one on FTP or HTTP. Now that the file has been transferred to a datastore you can patch a single host or multiple hosts that are mounted to that datastore either with the local tools via SSH remote support mode, or the Remote Command Line Tools using the esxcli commands. I am sure there is also a PowerCLI option as well I just have not tried it, but Justin Guidroz has posted a way to do so on his blog so check it out if you are a PowerCLI user. Usage: This program is not meant to be used directly. Please use esxcli image/software instead. The esxcli commands are also available in the remote command line but when you run them you will see you cannot “upload” directly which is why you may just want to run them locally. It is also worth pointing out that esxcli “Image” is not a valid command. The correct syntax will be something like this. If you are using the Remote Command Line you will also need to specify the server and login credentials. The syntax below without those is for the local SSH versions. Now you can reboot your system and it should have the latest version of the ESXi firmware and tools installed. Not too hard, but getting the syntax and the file location is a bit tricky. You can also now delete the patch file from the datastore. I hope this helps a few people with small home labs out or folks that need to apply specific VIB patches to their hosts without Update Manager. VERY helpful! I’ve been struggling with this for a while. Had the PowerCLI cmdlet for host patching working in 4.1, but 5.0 has been nothing but problems! Super helpful. Thanks a lot for posting. Thanks for the article. i have an idiot question, do the latest patche include previous patches or shall I patch the server incrementally? Since ESXi is “Firmware” based the latest updates available will include the previous ones. ESXi patches are full firmware updates so each most recent one should cover you all the way back. when i run the command esxcli software vib install -d /vmfs/volumes/[DATASTORE]/[PATCH_FILE].zip I get an error message that basically says no such file or directory. I know the file is there. How can i verify the path of the data store? how do I run this command when the depot is on a web server? Of course, if your Datastore name has spaces, then the file path for the patch should have quotes before and after it. So i can’t use Vpshere, Update manager, Vcli or even vMA. I know it’s possible to do updates with esxi local shell. 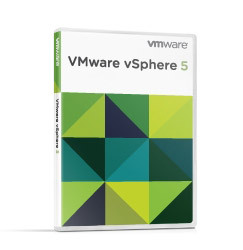 It should be a real vSphere Datastore. So if you have an NFS or other shared datastore you can upload the update through another host that has access to the same datastore. Or if it is an NFS datastore you can upload from another machine entirely. Best thing is to try and create a remote datastore that is NFS you can upload the image to from a linux machine. I would not try to install the USB key to another machine, I’m not sure what that would do to be honest. Thanks for the guide mate, most helpful. Usually just the latest one you want. ESXi is “Firmware” like so there is no need for applying them in a rollup fashion. Each update contains the previous updates. But while a later pack smaller is than the the previous one? But why a later pack smaller is than the the previous one? There seems to be a conflict on whether or not patches are cumulative. For safety’s sake, I’d follow the 2nd discussion’s approach. On a related note, if there are multiple non-updatexx patches, I apply them in order and reboot after they’ve all been applied. I’ve tried to track down whether or not that’s a problem, but haven’t found any opinion. I am using ESXi 5.0.0 built 623860. I want to deploy built 702118. Please confirm that can we revert back in case of any problem during the built installation. I have never had to roll back an ESXi update personally. Someone else may have a documented procedure to do so. it’s faster to download the image directly from the esxi server. This article is still helping. It probably saved me a couple of hours of searching and trial and error. Thank you Chris!